The building has adjoining or attached building(s) on one side; this includes corner buildings (end buildings within a block) and semi-detached buildings (with two housing units). 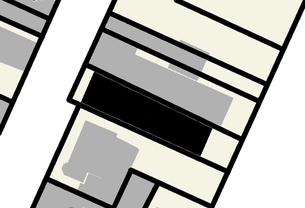 The building shown in black in this plan view has an adjoining building on one side. 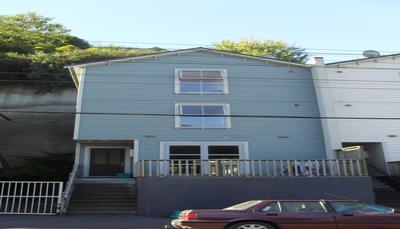 Semi-detached townhouse, adjoining building on one side, New Zealand (L. Allen). 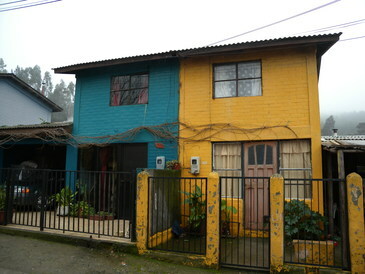 Semi-detached house, adjoining building on one side, Constitution, Chile (S. Brzev). 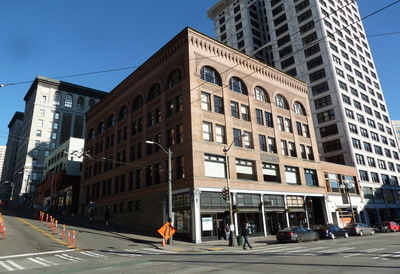 A building on a corner, with an adjoining building on one side, Seattle, USA (S. Brzev).